Matt, on the other hand, whips out his wallet, pulls out a couples of singles and gladly hands them over to the beggar with a smile. The beggar thanks him kindly and then continues on to the other passengers. 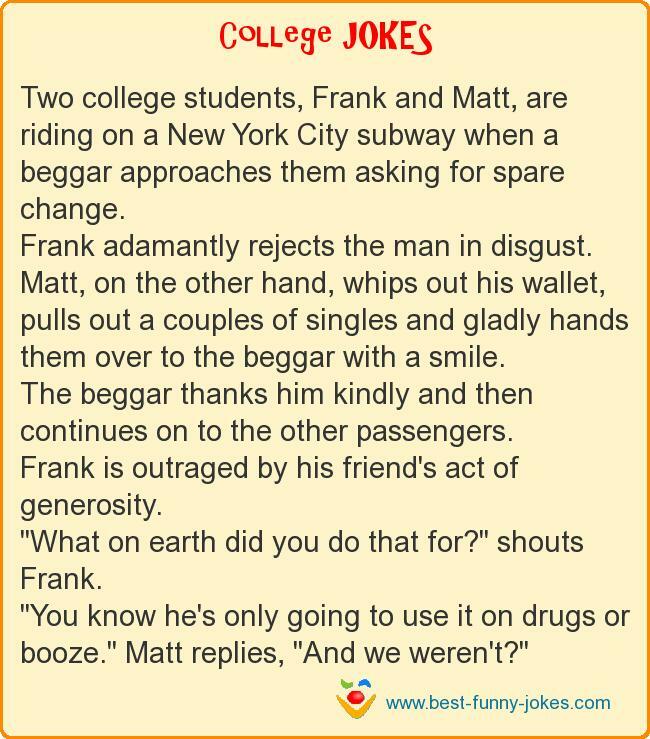 Frank is outraged by his friend's act of generosity. "What on earth did you do that for?" shouts Frank. "You know he's only going to use it on drugs or booze." Matt replies, "And we weren't?"